Blue Trust Loans is a new company on the market, founded in 2014. It is a tribal lending agency and a sovereign enterprise, which means that it is guided by tribal laws and cannot be sued in accordance with national laws. They tell you this right off the bat and advise you not to take out a loan if you are not comfortable with this fact. If you are still interested, read this Blue Trust Loans review to find out what this company has to offer in terms of fast payday loans. This company is ranked #1 on our Best Personal Loan Companies list. Blue Trust Loans is a direct lender that offers payday loans to all US citizens of a legal age who meet their minimum requirements. These include proof of income and an open checking account. 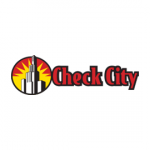 Although you have to have a checking account for some time before you apply for a loan and your income needs to meet the company’s criteria, the exact requirements are not clearly stated on the website. Debtors in a bankruptcy case or those who wish to file for bankruptcy relief, as well as Active Duty Military and their spouses and dependents, do not qualify for this company’s loans. It is important to note that the company’s loans are not available in all US states. Blue Trust Loans does not offer its services to the residents of Arkansas, Connecticut, California, Georgia, Massachusetts, Minnesota, New York, North Dakota, Pennsylvania, Vermont, Washington, and West Virginia. If you are borrowing from this company for the first time, you can take out a payday loan of up to $1,250 while returning customers can get as much as $2,000 per loan. 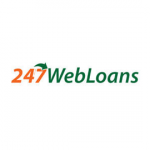 What makes this company different is that it does not offer standard payday loans but instead offers an alternative – installment payday loans. This means that you are not required to pay back the entire sum as soon as you receive your next paycheck, but you get the chance to pay in installments over the next six months. This kind of repayment comes with a higher APR due to the risk the lender takes by giving you money without requiring collateral. Applying for a payday loan with Blue Trust Loans is extremely simple and quick. You are only required to fill in a form on their website and wait for feedback on whether your request has been approved or denied. Once you submit your information, it usually takes as little as five minutes for the representatives to contact you if your application is submitted during their business hours. After the company verifies your information, you can have the money deposited to your account during the next business day. During the repayment process, you are required to make payments on the scheduled due date. There are no penalties for repaying prior to the due date. In fact, if you make an early repayment in full, you can even pay less than what you would be required to pay on the scheduled date. As we have mentioned before in this Blue Trust Loans review, you will be required to pay back your loan within six months after you received the money. Depending on how often you receive your paycheck, you can pay weekly in 24 installments, bi-weekly or semi-monthly in 12 installments or monthly in 6 installments. If you do not repay the total amount indicated in the contract you signed (that is, skip a payment or make no payments at all), apart from the basic fees attached to your loan, you will also be required to pay additional fees and penalties. The exact amount of the non-payment fees is not available on the website but is indicated only in your loan agreement, which is why we urge you to carefully examine all of the information provided in this document before deciding whether the loan terms work for you. For this Blue Trust Loans review, we attempted to find out as much relevant information as possible to help you make the right decision, but it seems the company is not too transparent about their inner workings. However, their rates are clearly stated on the company’s website. Let’s take a look at an overview of the potential costs involved in taking out a $100 payday loan, as stated on the company’s website. Keep in mind that the interest rates vary from customer to customer, which is why the following set of figures should only be regarded as an example. The actual fees you end up paying may differ significantly from the ones shown below. These costs depend on the repayment period (weekly, bi-weekly, semi-monthly, and monthly), whether debit is realized via electronic debit authorization or credit card, and whether you are a new or returning customer. The fees for new customers amount to $14.75 per weekly, $29.50 per bi-weekly and semi-monthly, and $59.00 per monthly pay periods if the customers opt for the electronic debit authorization option. The credit card option comes with slightly higher fees ($15, $30 and $60, respectively). Apart from getting the chance to receive up to $2,000 instead of the $1,250 available to new customers, recurring customers also enjoy lower fees. They pay $12.25 per week if they choose the weekly repayment plan, $24.50 bi-weekly and semi-monthly, and $49 per month. These are the fees associated with choosing electronic debit authorization. With the debit via credit card option, the fees amount to $12.50, $25 and $50, respectively. While researching this Blue Trust Loans review, we were unpleasantly surprised by the scarcity of information available. There is very little information about the company itself, the requirements for applying for a cash payday loan are not clearly stated (for example, they do not provide the exact criterion regarding minimum income and they do not give any concrete information on the “bank account minimum opened duration” requirement), and they provide only several exact details regarding the way they operate. On the other hand, as a first timer, you can get as much as $1000, which is not bad in comparison to other similar companies and you get a quick response and have the money deposited the next business day, which is quite convenient and may constitute a good reason for opting for this company. On top of that, you also get to pay in installments instead of repaying the total amount at once. However, if you choose to use their services, be sure to read all the fine print in the agreement because that is the only place where you can find all the concrete information about your loan. You should also remember that, although they claim that you cannot sue them, since 2014, the FTC has the authority to regulate the operations of tribal payday loan companies and you most certainly have the right to report any scam or fraud to the Consumer Financial Protection Bureau. This is such a scam, no one is this desperate. Well, the good thing is I got approved almost immediately. I guess it’s my fault I haven’t read through the whole agreement. I was quite surprised by the total amount, and not in a good way.